The Lavender is put in the distillation reservoir. It is compressed with the weight to maximize the volume of Lavender in the container. After 20 25 minutes, they do a test to check the residue and see how much oils are left. 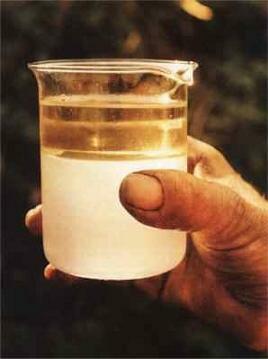 On the picture, you can see the oil on the top and the water called hydrosol on the bottom. Distilling essential oils is an art and a science! Most essential oil distillers use methods of extracting essential oils that use solvents or attempt to adulterate the oil prior to distribution. Honestly, like many things out in our world, the process of distilling can be good for the consumer (and the environment) or not so good, so please take the time to be an educated oil user! There are many different ways to extract essential oils and a complete listing and description are provided here. This section will mainly deal with the details and methods of steam distillation. During this process, the steam causes the plants oil glands to erupt and the oil evaporates into the steam. At this point, the steam is routed through our custom copper tubing on its way to the condenser where cold water running through the coils cools the steam, which condenses it back to a high-grade liquid of oil and hydrosol. Passing steam through copper tubing helps to achieve sweet, higher quality oils. This process was used in early distillation processes in France. At this point the lavender water and oil are separated into their respective containers, the essential oil, being lighter than water, rises to the surface of the condensate, and is collected in a beaker attached to the separator. This state of the art process produces the highest quality essential oil and hydrosol. 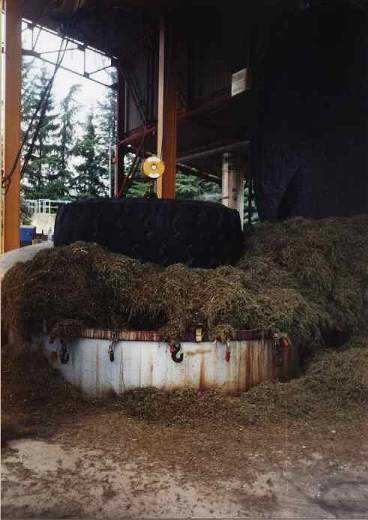 This method is where the plant material is placed in boiling water. The steam and oils are captured and then separated out to produce the essential oil. This method is where steam and water are pushed around and through the plant material and then the steam and oils are captured and then separated out to produce the essential oil. What is Straight Steam Distillation Method? Distilling essential oils using the straight steam method involves pushing steam through the plant material and then picking up the essential oil. 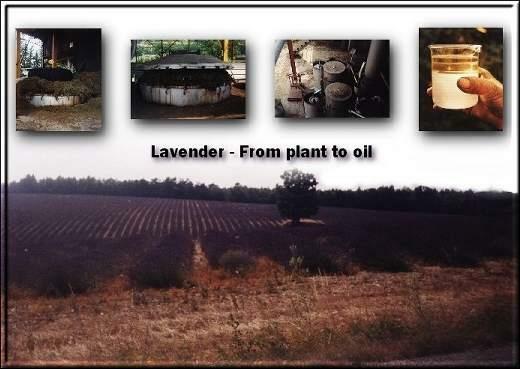 Lavender essential oil is distilled in this manner! How do the Methods Vary? In all of the methods, steam is used to rupture the oil membranes in the plant and release the essential oil. The steam carries the essential oil to a condenser and then as it re-liquefies the lighter essential oil floats on top. The water and oil are then separated out, and the water is referred to as the hydrosol or hydrolat, or flower or floral water. And the oil, of course, is the essential oil! How Does the Essential Oil Distilling Equipment Affect the Oil? The size and material of the cooking chamber, the condenser type, and the separator all can change the outcome of the oil. For instance, the cooking chambers that are best are made of non-reactive metal. This minimizes the essential oil from being adulterated (changed) by reactive metals such as Copper and Aluminum. The best metal that is non-reactive is stainless steel! Also, vertical steam distillation seems to produce the best quality oil when distilling essential oils. It protects the therapeutic benefits and there is no risk of overheating the plant material! What other Factors Effect Distilling Essential Oils? They are other factors such as temperature and pressure that affect the quality of the oil. For instance, if the pressure or temperature is too high than the therapeutic value is lost. It is like overcooking vegetables! Additionally, the chemistry constituent of the oil when overheated become changed or adulterated. The oil pH and polarity can even be completely altered! So, it has been found that low pressure and low temperature is extremely important to producing therapeutic grade oils. This is how ancient cultures distilled oils for thousands of years! They are still using the old lambics. I have, myself, tested it. It is by far the best I had as we only taste the Vanilla not the alcohol.